Neos Kosmos speaks to Katerina Grant about a journey that has taken her from the stage performing for Opera Australia to being behind the scenes, as director of award-winning events company Kat & Co. Walking into the offices of Kat & Co’s in Sydney, it’s hard not to notice a large lifelike blue and purple gorilla standing in the middle of Katerina Grant’s (nee Pitsikas) events company. The office where Neos Kosmos waits to speak to Katerina is full of eye-catching art, including a piece of graffiti-inspired work of four astronauts that, while not quite a Banksy, could well be. 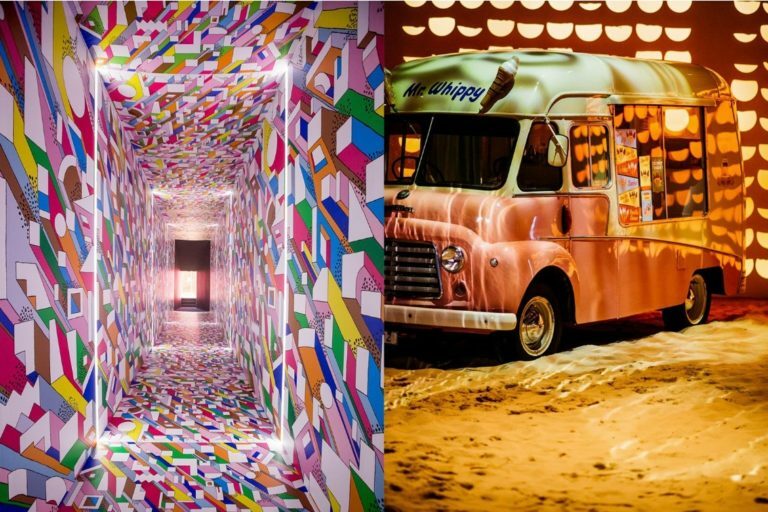 It signifies that this award-winning events company Katerina founded in 2012 and whose clients include luxury houses Fendi, Hermès, Van Cleef & Arpels, and Tiffany & Co offers big and bold ideas. The Australian Event Awards certainly believe so; in 2015 they honoured Kat & Co’s Prix de Marie Claire Fashion & Beauty Awards as the Best in Design and named the agency Australian Event Company of the Year. While she values the recognition and accolades, Grant is more focused on Kat & Co’s next project. “It was really great to be recognised in such a forum amongst industry colleagues,” says the Greek Australian. Before her career in events planning, Katerina spent more time on the stage rather than working behind the scenes. During her childhood she performed in Porgy and Bess and The Pearlfishers for Opera Australia. She was also involved in ceremonial presentations that included dancing for Queen Elizabeth II, as well as singing the Greek national anthem at the opening ceremony of the Sydney Olympic Games in 2000. Katerina believes having this creative background helped her gain a foothold in her current career. While singing and dancing was always a part of her life, at some stage she realised that having a profession in that area was not going to get her very far. It was then that she switched to studying a Bachelor of Arts and Commerce degree, with the plan to get into “some form of business, but not knowing what that was”. Dita Von Teese for Cointreau (2010). While she was unsure of where her future lay, that entrepreneurial spirit was being fostered by her late grandfather Peter Nick Manettas AM, who, after migrating to Australia as a 13-year-old orphan, went on to run a successful seafood business. Years later Manettas was made a member of the Order of Australia for his contribution to the community, as president of the Australian Crohn’s and Colitis Association. So it’s understandable when Katerina says her pappou is one of her major inspirations. Katerina’s first major role in events planning was with industry leader David Grant AM. The creative director produced events across Australia and around the world for almost three decades, which garnered 35 industry awards as well as him being made a member of the Order of Australia for his body of work. Katerina worked with David for a decade and was married to him from September 2015 until he died later that year. 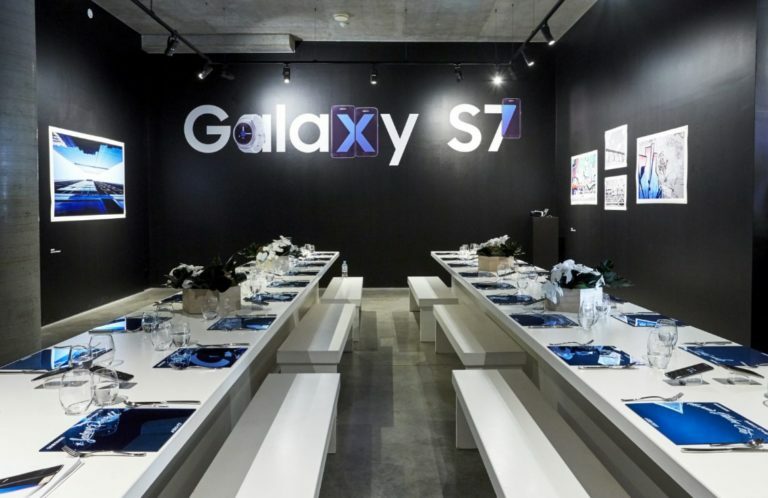 Samsung Galaxy S7 launch event (2016). “When I finished my degree, I had started working at my uncle’s restaurant group doing events and marketing,” she says. “I had an opportunity to go to an industry event in Perth and that is where I met David and at the time he was looking for an event coordinator to join the team. I went through quite a rigorous interview process before I got the job. Her work at the Olympics featured an event that included the mayor of London, English football star David Beckham, and then UK prime minister Gordon Brown, and it saw her named Australian Event Awards’ 2009 Young Achiever of the Year, so it’s not surprising she looks back on it as “a standout moment” in her career. Marie Clair Scoll ‘Barefoot in the Park’. “We built a venue – London House – that was used throughout the Olympics, and the final event was a hand over from city to city. In 2012, Katerina founded Kat & Co and admits that the move from Australia’s biggest events company to starting from scratch was both challenging and thrilling. “It came very naturally to me to start my own business and it wasn’t daunting,” she says. For Hermès’ ambitious, sun-drenched beach bash at Carriageworks. 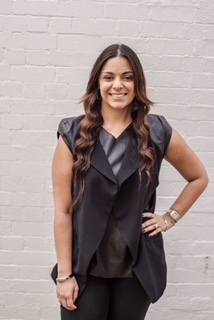 She started off with one employee working out of her Rushcutters Bay apartment, and now is part of a team of 10 located in a Darlinghurst office. While she says she is fortunate to work with some amazing clients and to be producing really great work, she has even bigger plans for the future, looking to expand overseas with the plan to set up an office in New York. In the meantime, Katerina is excited to be announcing the return of a $10,000 events fellowship as part of the David Grant Creativity Project, set up in 2016 by a group of industry colleagues and friends to carry on her late husband’s legacy. 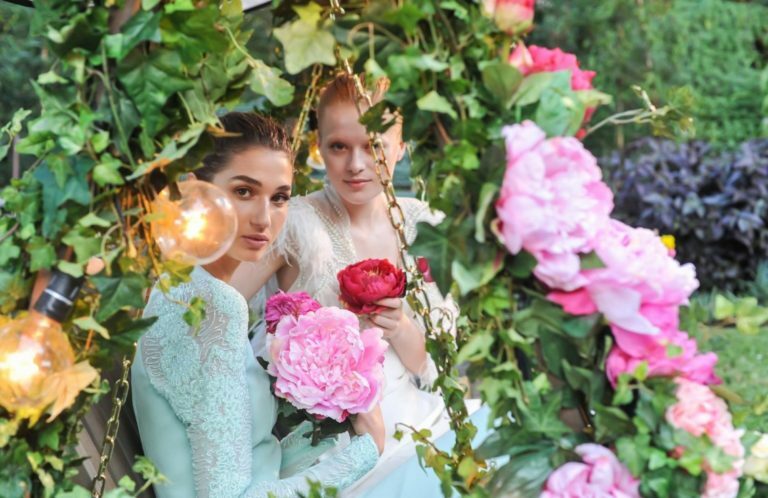 A sunset soiree that garnered the biggest social media reach in the history of Tiffany & Co. Australia. “David was a huge contributor to the Australian events industry, especially mentoring up-and-coming professionals on being creative and the best,” Katerina recalls fondly.